One person everyone should know by name is Fred Kilgour. Fred was elected as President for the 2002-2003 season and also spent many, many years as our Treasurer, looked after the Select Team program and was the key figure behind our Mite program. Fred was also the person responsible for setting up our Bingo program which is still a prime revenue maker for the club. During the past few years, Fred has been called upon many times as an advisor to the Board and his knowledge of the club will never be forgotten. In appreciation of Fred's contribution to the club, The Fred Kilgour Award of Merit was set up with Fred being the first recipient. 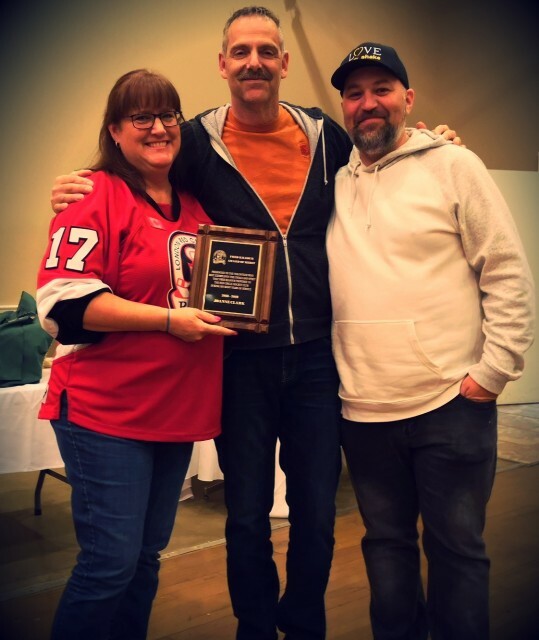 This award is given out each year to the individual who "exemplifies the ideals, spirit and enthusiasm that Fred contributed over his many years of service". Unfortunately, Fred passed away in 2012. His "ideals, spirit and enthusiasm" will forever remain an intregal part of our great league.